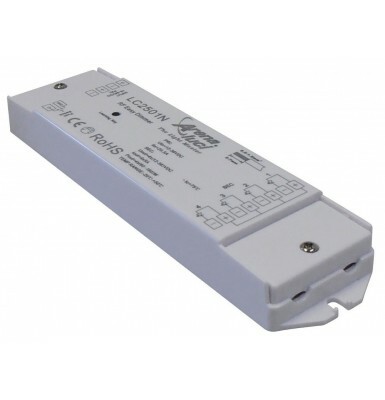 LC5003 is a practical four-channel controller for RGB or RGBW LED equipments working at low supply voltage of 12/24V DC. 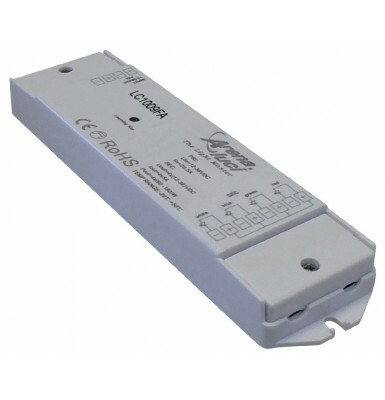 LC5003 is assembled into standard wall-mounted boxes size 503. 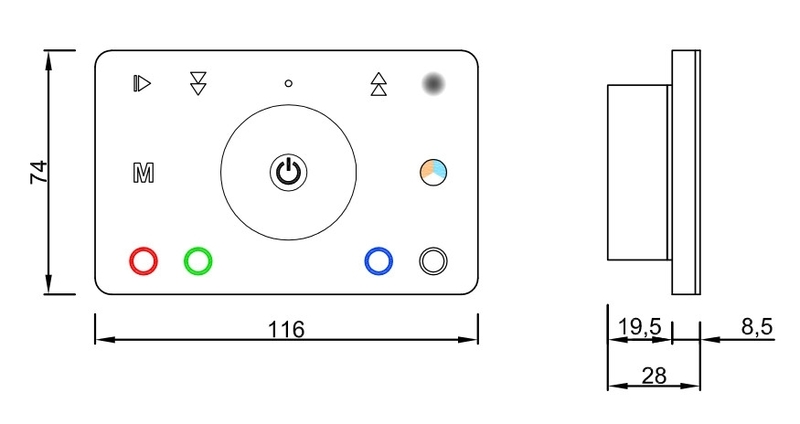 The power supply can be either 12V DC or 24V DC, according to the LED equipments that will be controlled. 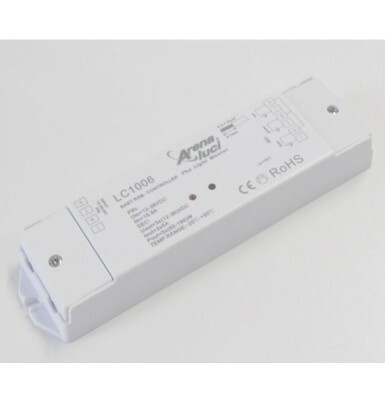 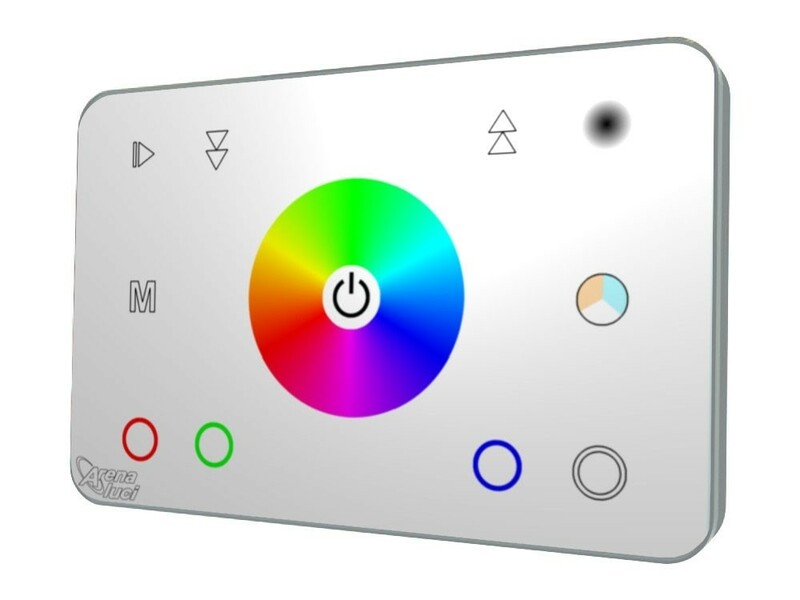 LC5003 can be used individually, powering it with a switching power supply with suitable driving capability based on the load, and connecting the devices directly to the relevant output terminals; or it can abe used as a DMX master controller to drive a variable number of DMX interfaces (Cod. 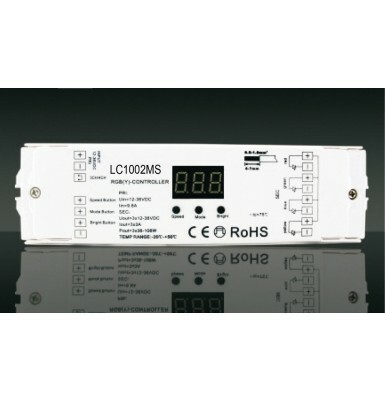 LC2102, 12/24Vdc; Cod. 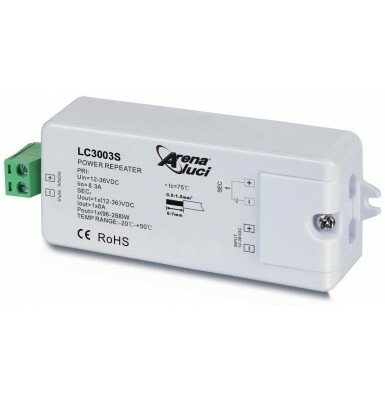 LC2112, 350mA, Cod. 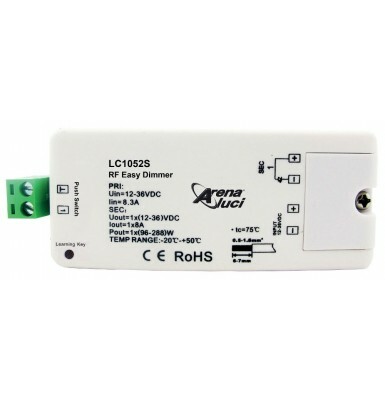 LC2114, 700mA). 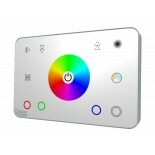 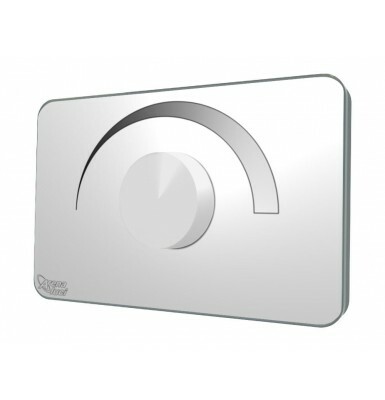 Optional available remote controller, cod. 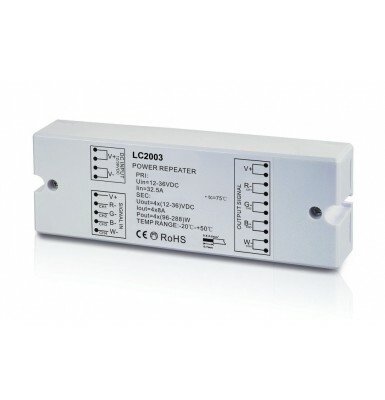 LC2808.